I am super excited to share with you all that I participating in a week long series called “The ABC’s of……” with around 70 other bloggers. Each blogger is picking a topic and arranging a 5 part series (or one post) on their topic, which will be organized in alphabetical order. 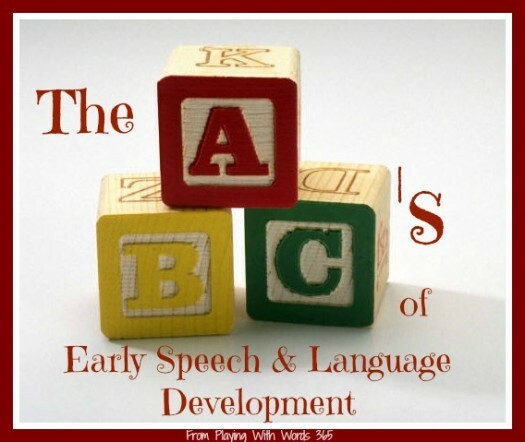 I, of course, chose The ABC’s of Early Speech & Language Development! The series will be running from January 7th-11th, so make sure to stay tuned! Until then….I’ll be relaxing with my family until the new year! I hope you all had a FANTASTIC holiday! Interested in what other topics will be covered in this series? Check out the list over at This Reading Mama!